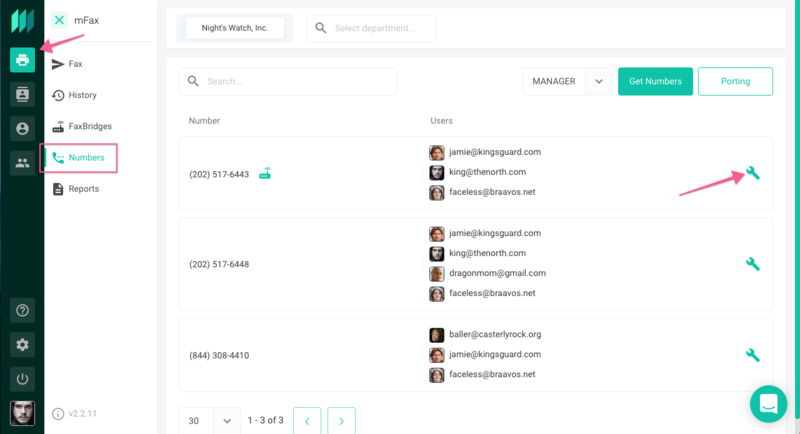 Faxes can be received and viewed in multiple places but the main repository for inbound (and outbound) faxes is on the History page. 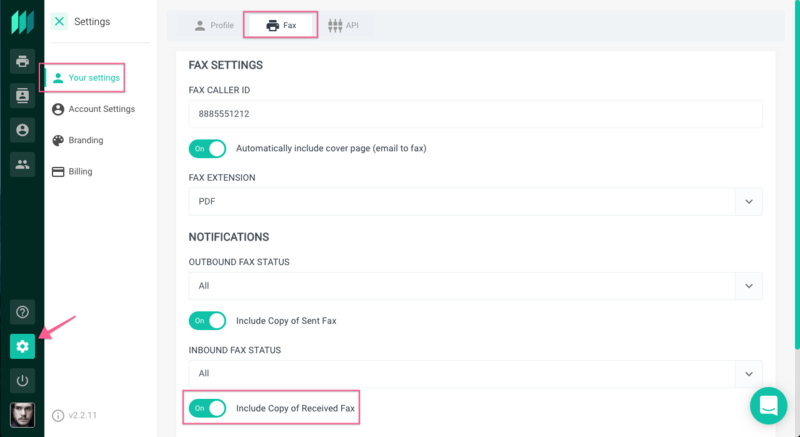 Fax history will show a complete record of every single fax received (and sent) from your account. Fax history is accessible by clicking the Fax icon in the main nav and then the History link in the subnav (see below). 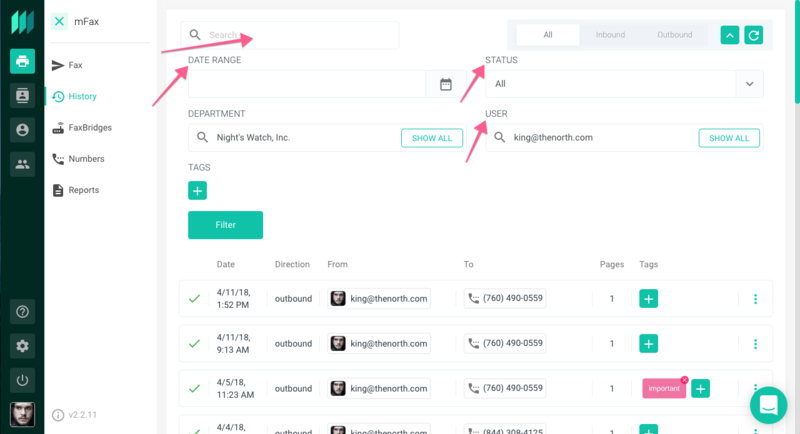 Clicking the filter dropdown gives access to further filtering tools where you are then able to refine your searches and filtering using the fields provided. 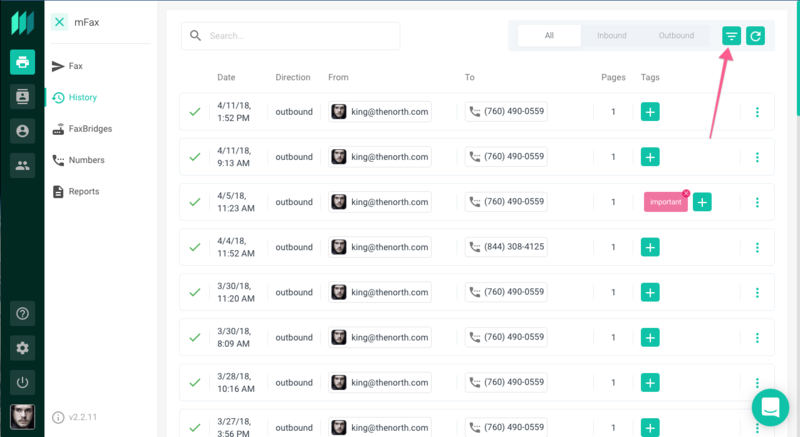 Inbound faxes can also be delivered directly to a user's email address. 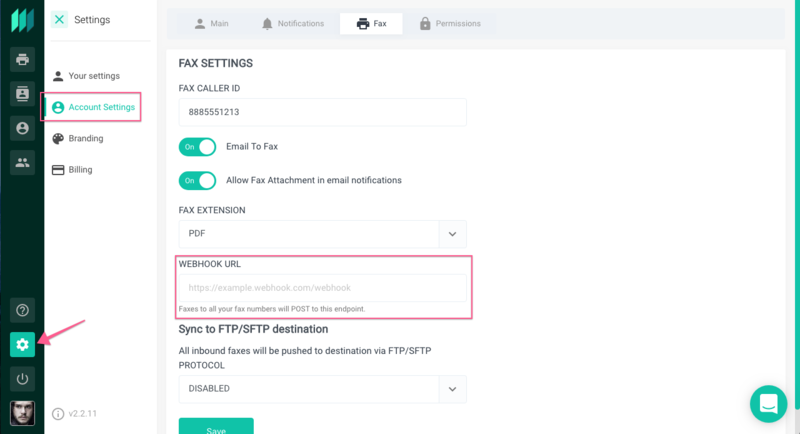 Using the notification settings, users are able to toggle on the ability for a copy of the fax to be attached to the email notification. 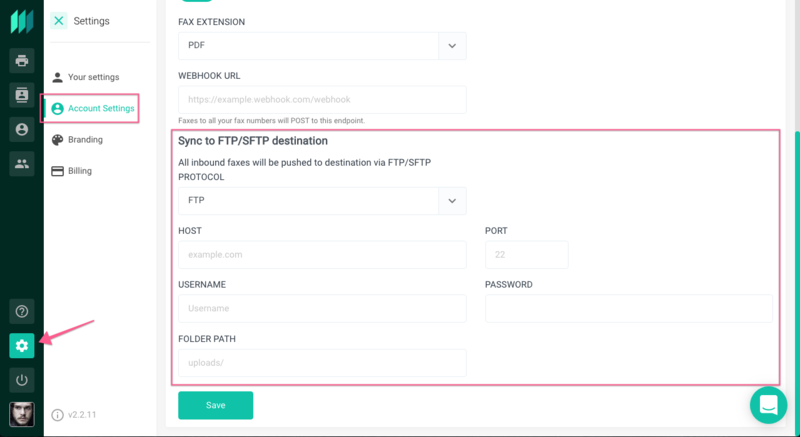 Lastly, are the advanced inbound routing features. 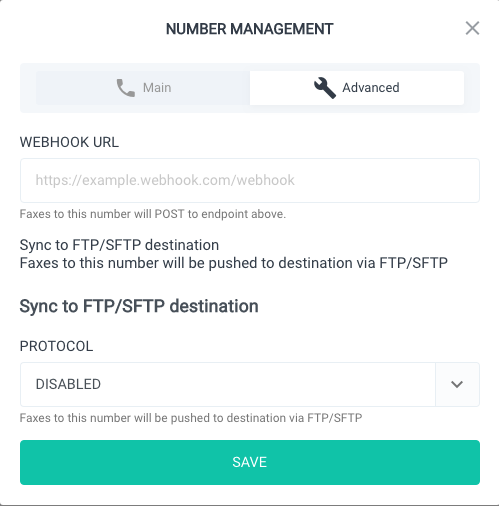 Faxes can be routed via a webhook to an http endpoint or via an FTP/SFTP destination to a system file. 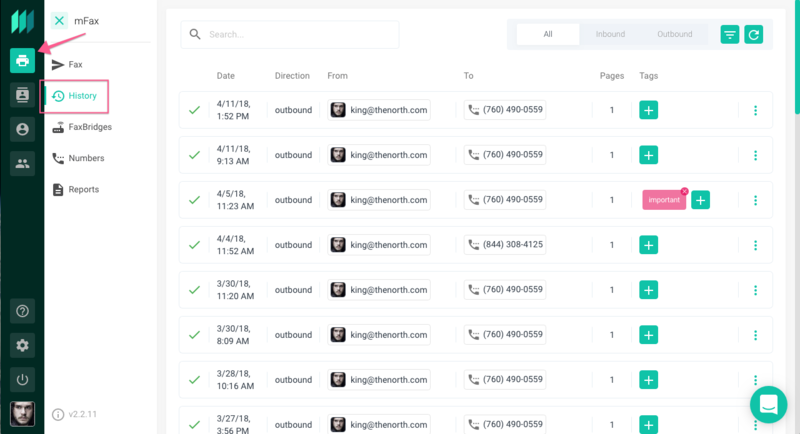 These advanced inbound routing features can be set globally at the account level (shown above) or individually by number in the number settings (shown below).